The E! network is home for all Kardashian drama. When it comes to the Kardashian klan, there’s not much sentiment of intermediacy. Girls around the globe are either obsessed with Khloe, Kim and Kourtney, or can’t even bear the sight of them. Maybe Kim’s dark, anti-American girl-next-door image is our main attraction, or maybe we like to tune in every Sunday night to see her family overcome their overwhelming drama. The Armenian family skyrocketed to fame in “Keeping Up With the Kardashians.” After seven eventful seasons, there is no slowing down. Even though they already live an uncensored life on reality TV, the media exhausts every outlet to get closer to them. The Kardashian girls are even considered beauty and style icons by some. This season, more than others, the Kardashian klan tackled many of the family’s dysfunctional issues, making it hard to stop watching. We saw them in an intense, heartbreaking family therapy session; we witnessed, as their “momager,” Kris Jenner, being verbally torn apart by her children numerous times; and we caught glimpses of Kim and Kanye’s relationship. Although the other episodes were thrilling to watch, it all came back to this season’s theme: baby fever. The already pregnant Kourtney expressed her desire to have another baby without consulting her longtime boyfriend Scott Disick. This sparked Kim’s interest in finding out how fertile she is the older she becomes. Like a dutiful sister, she convinced Khloe, who has been trying to conceive for almost three years now, to visit a fertility specialist. Even though scenes involving Scott and Kourtney’s relationship turmoil make for great TV, other situations, like finding out that Khloe doesn’t ovulate regularly, were devastating to watch. Finally, on the season finale Kourtney gave birth to her daughter, which she helped pull out herself! This clip recently went viral. Some people were traumatized and offended, while others found it empowering. Overall, the Kardashians’ openness and willingness to share their life is part of their charm, as well as their curse. 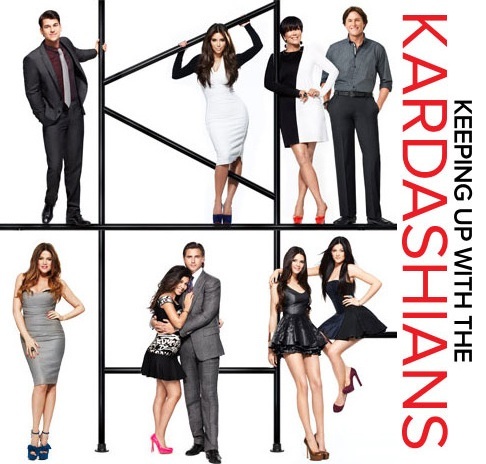 Whether we accept them or not, they have signed a $40 million deal for three more seasons of “Keeping Up With the Kardashians.” We’ve all expected their popularity to have dwindled years ago, but they are a well-oiled machine orchestrated by their momager Kris Jenner. Some of us may not like to admit it, but many of us are tuning in. They are our guiltiest pleasure! "Anti-American girl next door looks?" That line bothers me. I didn't know that American girls had a look to them. Aside from that though I liked the article, love the Kardashians. Agree with the article! They have handled their endorsements and deals quite well. They deserve some recognition for keeping it up this long.